This post is by Hayden Dando, OHI perfusion expert and self confessed blood geek. This year is really exciting for our perfusion team. For the last few years we have had the same local training perfusionists Norman and Alex fly across the country to join the team in Port Moresby. This year is all about getting the guys to decide if they want to become professional perfusionists. If they want to pursue a path to become perfusionists they will have to travel to complete their training. Whilst we are trying to teach them everything we can during this week, you can’t learn this critical trade in 7 days! To be successful they will need to be doing a lot of hands on work and training. They will likely have to travel to China for 6 months then to Sydney for a few months to ensure they become properly qualified and adequately trained. 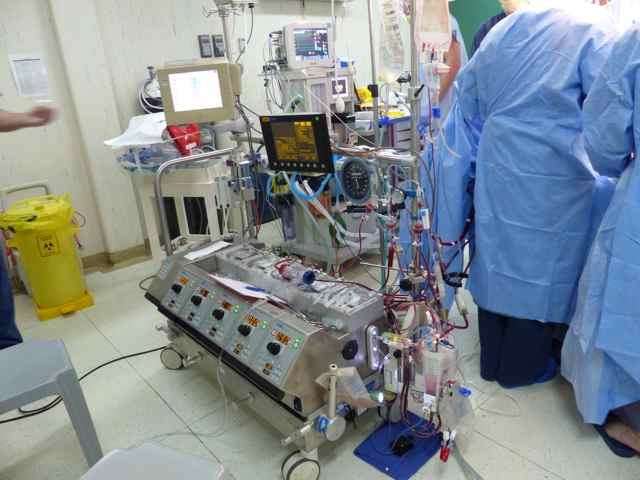 Perfusion involves the running of the heart lung machine. We tailor our equipment and the specifics of the machine to each patient. Our patients either need perfusion because the surgeon needs to stop the heart to operate on it, or the patient is unable to support the function of their heart and lungs. 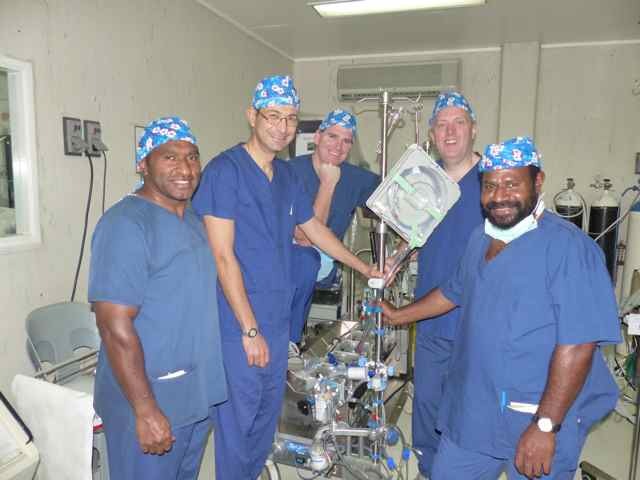 With the assistance of the local hospital and PNG business community, OHI was able to source a brand new perfusion machine for Port Moresby Hospital. The machine was used for the first time on our first day of surgeries with the local perfusionists running it and the local surgeon Noah carrying out the procedure. It was a great step forward for our program. 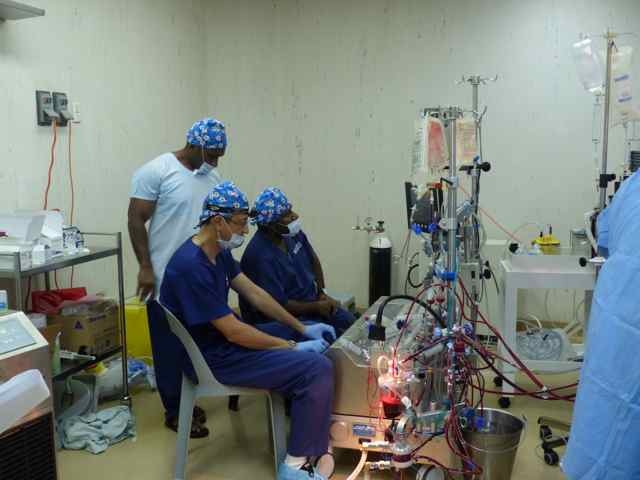 We have three perfusionists this year in PNG – Gary, Kieran and myself (Hayden). I have been fortunate enough to come on many OHI trips to PNG over the past 12 or 13 years, I have also travelled to Rwanda and Fiji with the team. There are numerous reasons I keep coming back on these trips. The world has been pretty good to me and it was time for me to give back, this got me started on the trips. What kept me coming back are the people, the team that we travel with and the team here. I genuinely get more out of this than I give, clinically, professionally and with friends. It does not feel I’m giving; it feels like I’m taking, I’m enjoying it.